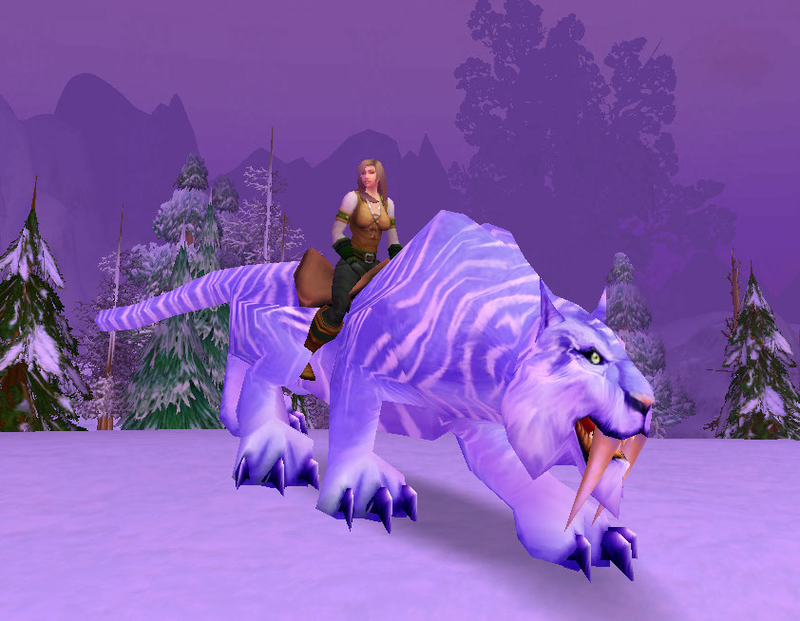 Baby, It’s Cold Outside « It's For My RP Spec! Click to view the outfit! The Arcane set looks like warm, supple leather to me. Despite being cloth, it looks somewhat rogue-y but still extremely comfy. The Sorcerer’s set (or pieces of it, anyway) look a bit like a casual yet passably wintery set. The pants are a dark indigo that almost look like jeans. 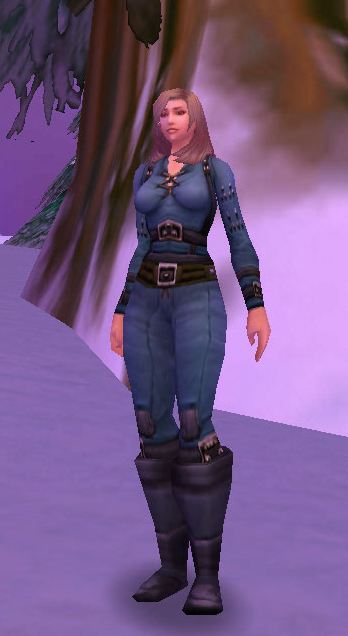 I prefer the Mistscape Boots over the Sorcerer’s Slippers but that’s just preference. And as always, the Arcane Sash makes an appearance, as does the Sleeveless T-Shirt. A nice, dark green offsets the light tan and white of the vest/shirt in this set. I think the gloves look especially warm, though the shirt might be a bit too thin to be considered suitable for winter wear. I have a few other things in the works as far as posts go; I’ve been leveling my troll mage (my former main that wallowed around the mid-70’s until this expansion) and have some ideas for her, as well as for some of the awesome new robes from this expansion. Stay tuned and thanks for reading!